Ms. Ivy found me through Google and my Facebook page. She and I were able to talk a lot on Facebook and told me that she was already decided to hiring me for her wedding. Although that was very flattering to hear, I suggested that she book a trial with me first to see whether or not my service is what she is looking for. So here are her before and after photos. Ivy’s before and after photo. Trial wedding makeup is essential when looking for a makeup artist for your wedding day. 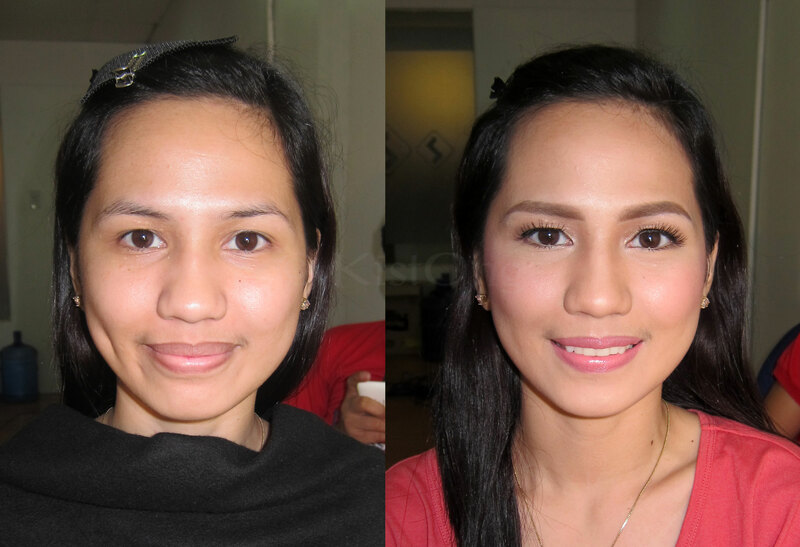 This is so you can test the makeup artist’s skill and see for yourself whether their work lasts throughout the day. Also, you get to know about the artist’s attitude. This is often overlooked but could actually affect your decision. Ms. Ivy was very pleased with the outcome of her trial!